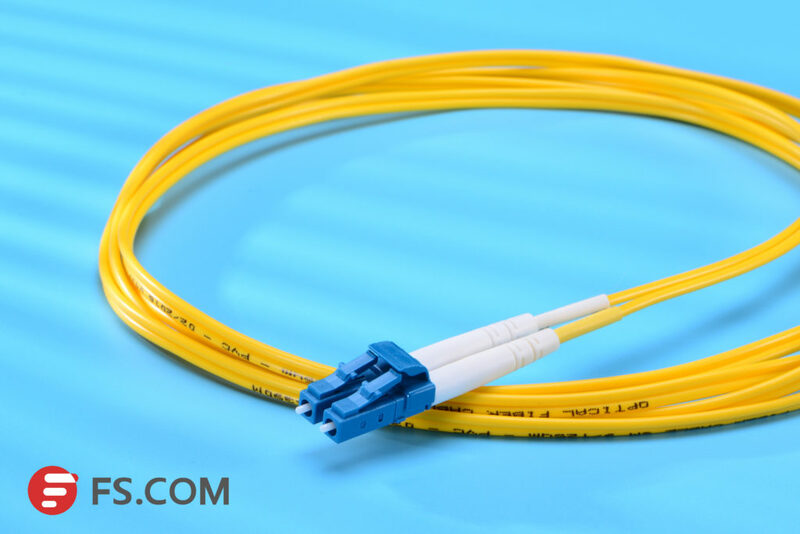 With the increasing demand for greater capacity over long distance transmission, single mode fiber optic cable is designed with various versions. There are 6 different categories of SMFs: G652, G653, G654, G655, G656 and G657, among which G652 and G655 are two options frequently used in WDM. So G652 vs G655 fiber: what’s the difference? Single Mode Fiber: What Is G652? G652 is currently the most popularly adopted single mode fiber, for which G652 is defined as Standard SMF. It has G652A, B, C and D four versions. G652A and B have a zero dispersion wavelength point at 1310 nm, which makes it a natural fit for operation in the 1310 nm band. However, they are not suitable for applications in Wavelength Division Multiplexing (WDM) due to water peak. The more advanced C and D are optimized with elimination of water peak for spectrum operation, which makes them effective at wavelength between 1310 to 1550 nm to support Coarse Wavelength Division Multiplexing (CWDM). Comparing G652C, G652D single mode fiber has superior PDM (polarization mode dispersion) parameter, for which G652D is known as Standard single mode fiber (SSMF) and commonly used to support 10GbE and 40GbE system. FS. COM provides such G652D LC fiber in various versions. Figure 1: This photo shows a FS.COM G652D LC single mode fiber. Single Mode Fiber: What Is G655? G655 is known as nonzero dispersion-shifted fiber (NZDSF), because the dispersion at the wavelength of 1550 nm is close to zero but not zero. It is further divided into A, B and C three subcategories. 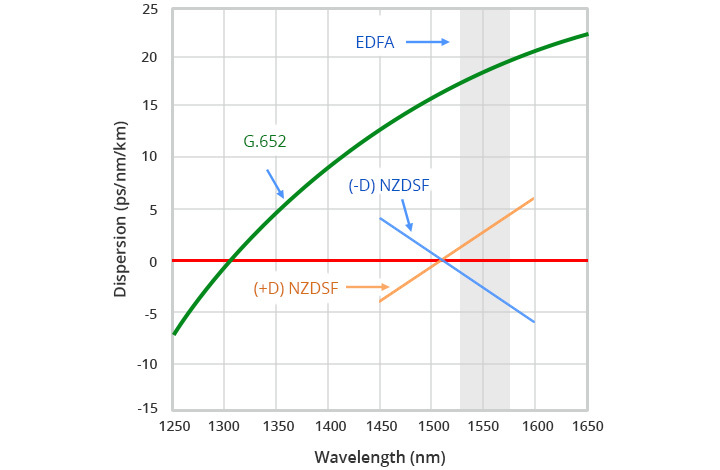 There are two types of NZDSF: (+D)NZDSF and (-D)NZDSF, the dispersion of which is respectively proportional and inversely proportional to wavelength. Among them, the positive dispersion of G655 overcomes nonlinear effects in WDM system such as four wave mixing (FWM) due to high effective area. G655 is specified at 1550 nm and 1620 nm, and has low value of chromatic dispersion in the c-band (1530 -1660 nm), in which Erbium Doped Fiber Amplifier (EDFA) boost the optical signals. This match gives G655 an edge over G652. G655 fiber is suitable for DWDM system to meet increasing transmission capacity and long haul high capacity WDM transmission system. Figure 2: This diagram shows the difference of G652 vs G655. G652 vs G655 Single Mode Fiber: What’s the Difference? Table below shows the detail information of G652 vs G655 fiber. As shown in the table, G652 and G655 fiber are two single mode fiber types defined with different specifications of wavelength, dispersion, parameter of attenuation and PMD. G652 is featured a zero dispersion wavelength at 1310 and reduced water peak to support CWDM. G655 is an enhanced single mode fiber with the characteristic of elimination of FWM and low dispersion value, typically applied to long and high-speed DWDM transmission. For consideration of both the function and price, G652 especially G652D version has become the most commonly used one. This article introduced two categories of single mode fiber types and made a contrast between G652 vs G655. It’s not proper to say one type beats the other since both have their characteristics for different applications. For transmission not requiring very high rate and long distance, G652. D can be the choice. But for much higher capacity and long distance required DWDM system, G655 will best meet the needs regardless of much higher cost.